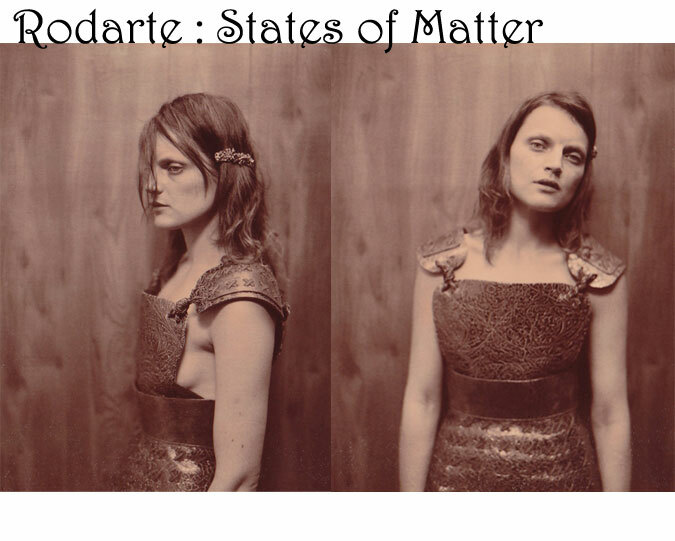 I've been incredibly busy as of late and haven't had time to check out the new exhibit at the MOCA of Rodarte's States of Matter. The exhibit just opened on March 4th and is going till the summer so I will have to pencil some time in to visit soon. I'm a huge fan of whimsical things. Heck, my favorite designer of all time is Lee Alexander McQueen. I was incredibly sad when he passed and feel like there is simply no one that could ever measure up to him -his vision, his creativity, his perspective. He created worlds and invited us to partake in them. All whimsical, all unique and all his own. That's how I feel about Rodarte. I am in no way comparing the two. Simply saying that both bring this sort of airy, whimsical, yet dark element to their collections. 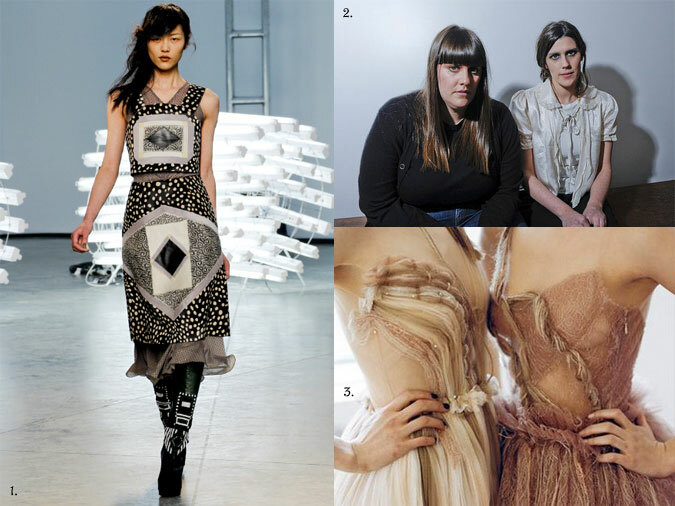 Rodarte plays with different textures (pictured in 3) and fabrics to achieve one of a kind garments. 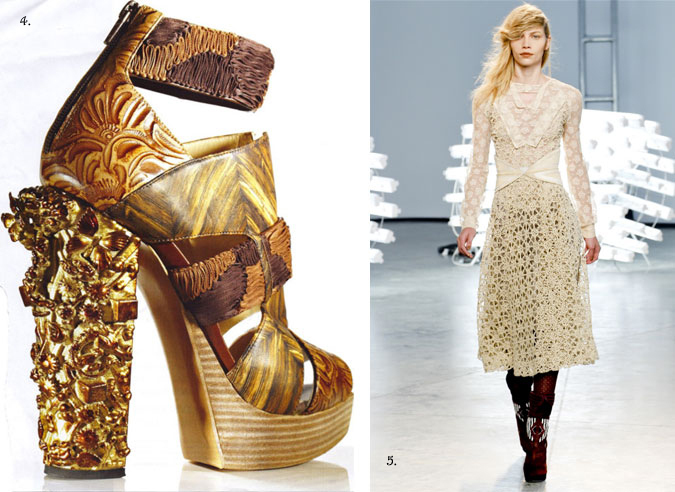 Take a look at these incredible intricate shoes from their spring 2011 collection (pictured above in 4). Ornate pieces of art! Check out my other post about their beautiful Black Swan costumes HERE. wow those shoes are gorgeous!